Join Britain's most eccentric and best dressed in Bedford Square Gardens for a day-long party, complete with unsporting games, live music and Bourne & Hollingsworth's trademark cocktails. CELEBRATING ECCENTRICITY AT ITS BEST"
Calling all tribes of originality, purveyors of flamboyancy and those who just refuse to dance to the faded tune of modern day society, Bourne & Hollingsworth and The Chap Magazine invite you to band together for Britain’s annual celebration of unconventionality - The Chap Olympiad. 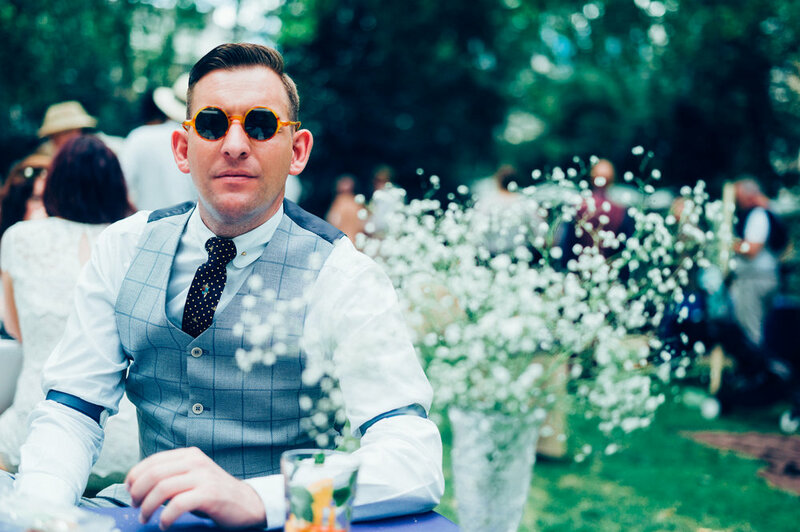 Produced by bar and events group Bourne & Hollingsworth, and with games hosted by The Chap Magazine, the world’s best dressed will once again descend on Bedford Square Gardens for Britain’s most eccentric sporting event, for a midsummer ceremony, celebrating the weird, wonderful and wacky. A day-long celebration of diversity, set to the backdrop of a traditional summer garden party with a roster of live entertainment including Olympiad games, The Chap Olympiad is designed to reward panache rather than sporting prowess and the games require the minimum amount of physical exertion. Not since the days of Bee versus Pigeon Racing during the Victorian times have so many befuddled anarcho-dandies and gin-addled punks been gathered together under one parasol to make mockery of the whole idea of sport. Welcoming guests from all four corners of the globe, The Chap Olympiad plays host to a roster of outlandish personalities, an unforgettable experience for those that are idiosyncratically dressed, unequipped for any sporting activity and enjoy a large G&T. Whilst game participation is encouraged, it can be just as much fun to be a spectator, soaking up the sun, lounging in a deck chair and watching the hilarity unfold. No sportswear please except cricket whites and absolutely no denim. The Chap Olympiad requests that all patrons refrain from bringing drinks (soft and alcohol) to the event.